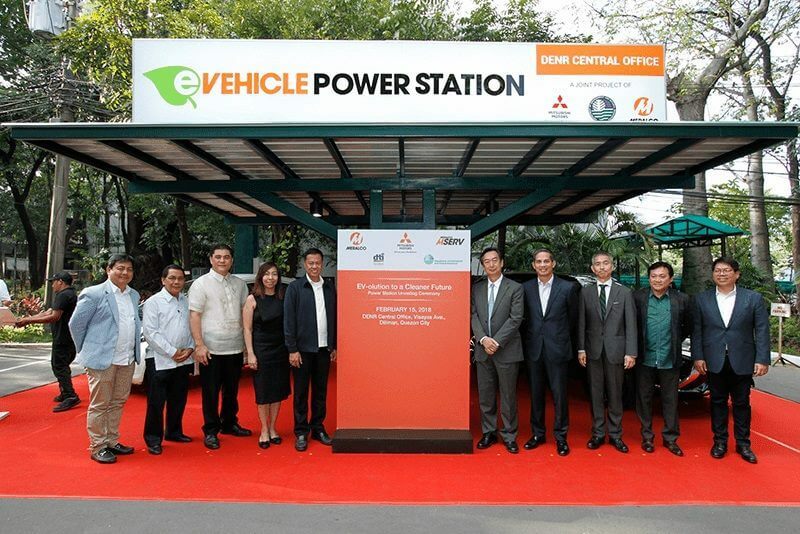 Mitsubishi Motors and Meralco just unveiled their Electric Vehicle Quick Charging Station at the DENR Cenral Office in Quezon City last February 15th. The charging station itself was donated by the Mitsubishi Motors Philippines Corporation (MMPC) to help in the reduction of environmental pollution. This is also in relation to the 10 EV units granted by the Misubishi Motors Corporation (MMC) from its i-MiEV and Outlander PHEV lines. The i-MiEV is a five-door hatchback electric car and the Outlander PHEV is touted as the world's first plug-in hybrid electric mid-size SUV. We are already working with the DENR to conduct a study on how to reduce carbon emissions through the use of electric vehicles. The creation of a charging infrastructure is a crucial step in enabling the market growth of electric vehicles in the Philippines. There are also EV charging stations that are scheduled for installation in the future at the DENR offices in Cebu and Davao, and in the DTI office in Makati City. These charging stations will all be coming from the MMPC as donations. Mistubishi Motors has been one of the leaders of EV development. They were the first to bring in a purely electric car in the Philippines. MMPC's partnership with the DENR and DTI shows how committed they are in helping lessen the pollution. Meralco prides itself for being the country's premiere energy trailblazer, so we are quite honored that Mitsubishi Motors has chosen us to be their partner of choice in providing power innovations at the DENR and DTI.